Note that it is also possible to import documents from cloud services such as Dropbox or iCloud Drive by using the same method. Select your pictures and tap "Choose" when you're done. 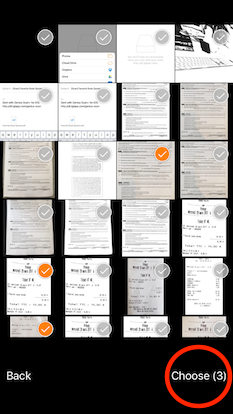 Genius Scan will then create a single document with all the pictures you selected.